Winstel Controls is happy to accept applications for credit. 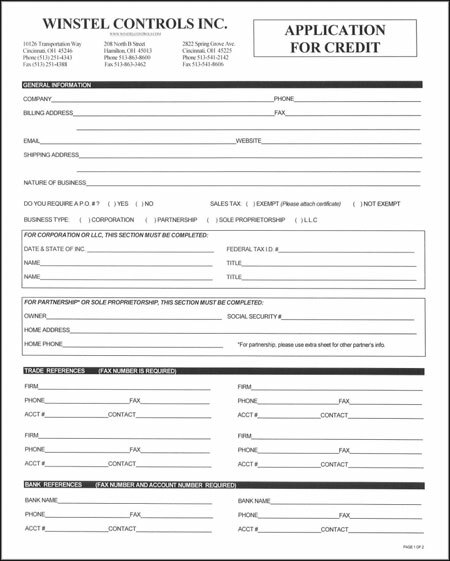 Print the form below and fax to Mary Beth at our Corporate Offices at (513) 251-4388. The process can be completed in as little as a couple of days. If you have an order pending please be sure to call and let us know the situation. We are able to work with most any circumstance. If you have any questions or you would just like to talk to Mary Beth first, you can reach our Corportate Offices by calling (513) 251-4343.